Feast your eyes on The American restaurant in Kansas City, Missouri. A restaurant in Kansas City, Missouri has earned the honor of the James Beard Foundation’s Design Icon Award, which designates it the most influential restaurant in terms of design this year. The American restaurant opened its doors in 1974 in Kansas City’s Crown Center, and it quickly “became the conceptual parent of all the over-the-top top-of-the-building restaurants that followed,” according to a press release from the James Beard Foundation. Many of the restaurant’s original features and designs have remained intact, a requirement of receiving the Design Icon Award. As the press release explains, “A dining space’s design must have remained substantially unchanged for at least 20 years” to be considered for the award. Its, ahem, crowning feature—its wood tracery canopy—is one of the defining features that has survived inside the restaurant since it opened some 40 years ago. 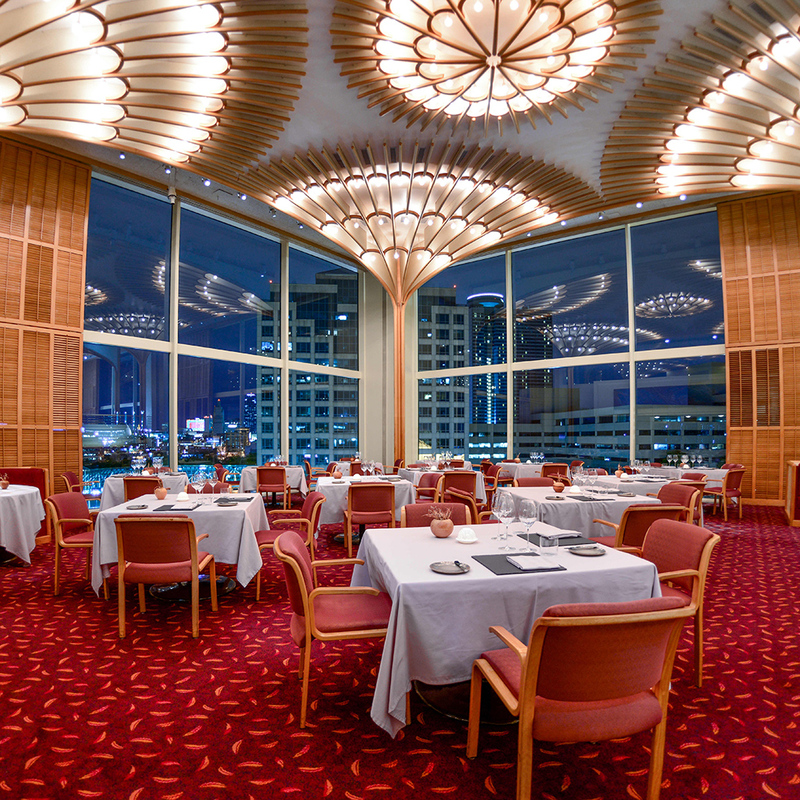 The American was designed by Warren Platner, who also designed the original Windows on the World restaurant in the World Trade Center and Ford Foundation’s headquarters.